2014/8 is here and the index of earlier editions is here. Index of music reviewed or mentioned in 2014/9. For some time I’ve been pointing readers in the direction of the Naxos Music Library streaming service as a good place to check out recordings before finally committing to making a purchase. Useful as that is – and I continue to recommend it – subscribers to Qobuz can listen in higher-quality sound (320kb/s) or even in lossless flac. There is one downside which it shares with NML in the form of annoying short gaps between tracks where the music is continuous, for example in opera. My apologies for having fallen behind in covering Beulah releases. I shall attempt to catch up gradually in coming editions. This is a worthy Reissue of the Month – well worth having for the powerful performance of the Rite of Spring alone, the first recording of the work that I owned on LP when it was reissued by Fontana for 12/6 (£0.63). 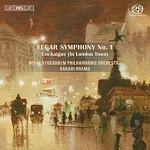 Though that was then regarded as almost rock-bottom pricing – only Saga at 10/- were cheaper – it still amounts to around £15 of today’s money when you can have the whole album with the equally fine performance of the best-known Shostakovich Quartet for around half that price, with the Kurtz Symphony thrown in, a perky premiere recording – also preserved on Naxos Classical Archives 9.81187 though not available in the USA and some other countries. The Mercury recording of the Rite was well up to the high standard achieved by that label’s engineers and it has come up sounding fresh as paint again, as has the Shostakovich Quartet and even the Symphony sounds more like good early-LP vintage. Only Doráti’s later Decca Rite from Cleveland remains available singly, with the Mercury version imprisoned in a 55-CD box, making this inexpensive Beulah reissue extra valuable. 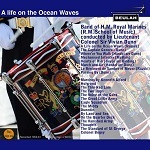 Beulah already have several recordings of English Wind Band Classics (1PD82 – review and June 2010) and the military music of Sousa and other American composers to their credit (2PD82, 3PD82 –2013/2 – and 4PD82 – 2013/9) together with several single-work releases on Beulah Extra. The new release comes as a welcome addition to that repertoire. There’s a good mix of the familiar and unfamiliar – not everything comes from the Navy or Marines, despite the overall title – and the performances are about as good as they get, though Handel’s Where’er you walk comes over as a rather different beast than we are accustomed to at such a brisk pace – it’s all over in under three minutes. I’m not sure of the provenance of the recordings, though I assume that the Alford items come from the collection released by HMV in 1959. Everything has been well transferred. I’ve already reviewed the Reiner recording of Morgenblätter (Morning Papers) – Beulah Extra 2BX176 – 2013/11 – where you could easily think that Willi Boskovsky was conducting the Vienna Phil. Rosen aus dem Süden (Roses from the South) receives an equally fine performance, the recording, though released as long ago as 1955, a little earlier than the dates listed on the Beulah cover but none the worse for that, still sounding fine in these transfers. 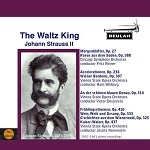 The other recordings were all made with the Vienna State Opera Orchestra, the workaday equivalent of the Vienna Phil, though also with the music in their blood. The pick of these were recorded with them by Jascha Horenstein in 1969 for RCA and once available in CD transfers from Chesky, of which only one volume remains available. As that CD doesn’t include any of the four items on Beulah, their inclusion here is particularly commendable. I don’t recall encountering the other items, but they all receive enjoyable performances in recordings which have come up sounding well. Beulah have already given us Tuxen’s recording of Nielsen’s Fourth Symphony, but the First doesn’t receive so many outings even now. With the Eloquence 2-CD set of classic recordings of vintage Nielsen performances (4801858) giving us Jensen’s account of this symphony, I’m pleased that Beulah have given us the Tuxen live recording made shortly before his death in 1957, once briefly available in an LP set from Danacord. The sound is somewhat wiry but quite tolerable. The transfer of the Larsson Pastoralsvit (Pastoral Suite) faces competition from a Swedish Society CD of Westerberg’s later (1960) recording of that work together with his En Vintersaga (Winter’ Tale), the Little Serenade (Stockholm Philharmonic Chamber Ensemble), Orchestral Variations (Sixten Ehrling) and the composer playing his Espressivo for piano (SCD1051), available for download fromeclassical.com in mp3 and lossless, or stream from Qobuz, both with pdf booklet. Whichever recording you choose, it’s an attractive work by a composer of whose music I know too little – there’s plenty more on BIS and CPO, available for download from eclassical.com. Not surprisingly the two performances are very similar and the 1952 recording has come up very well in this transfer. 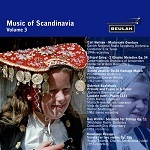 3PD94: Music of Scandinavia Volume 3: Edvard GRIEG Two Elegiac Melodies (Concertgebouw/Willem Mengelberg, 1931) and Sigurd Jorsalfar Homage March (Philharmonia/George Weldon, 1962), Dietrich BUXTEHUDE Prelude and Fugue in g (Johannes Brenneke (organ), 1962) and Laudate Pueri (Edith Mathis, Mandy Friesenhausen (sopranos); Viola da Gamba Ensemble/Walter Kraft (organ), 1962), Carl NIELSEN Maskarade Overture (Danish RSO/Eric Tuxen, rec.1946), Dag WIREN Serenade for Strings (Stockholm RSO/Stig Westerberg, 1952) and Knudåge RIISAGER Sonata for two violins (Wandry Tworek and Charles Senderovitz, 1953). From iTunes and Amazon UK . Extracts on YouTube. George Weldon, whose performance of the Grieg Homage March opens the proceedings, was one of those conductors who seemed to be able to turn his hand to a wide range of music. He turns in a very respectable but hardly outstanding performance and the recording has come up well. Mengelberg’s Elegiac Memories which close the programme naturally sound more faded. They have already appeared separately on Beulah Extra 1BX243 in which form I reviewed them in 2014/8, enjoying the way that Mengelberg prevents the emotion from getting out of hand. With the inclusion of music by Buxtehude – born in Denmark though his working life was spent just across the border in Lübeck – this album covers more ground chronologically than its predecessors. The Prelude and Fugue in g has already appeared on Beulah Extra 1BX267 and Psalm 113 on 2BX267. As I wrote in 2013/14, with soloists of the quality of Edith Mathis and Maria Friesenhausen, a consort of gambas, violone, theorbo and Walter Kraft (organ) the performances are still well worth hearing and the recording has mostly come up well, apart from a tendency for the pedal notes to thump somewhat in the Prelude and Fugue. Dag Wirén’s Serenade is a jaunty little piece, mined at various times for TV programmes – older readers will remember its use for Monitor. The same performers re-recorded it on a Decca EP c.1959 and I’m surprised that this was not preferred to the slightly muffled but acceptable mono version which Beulah have given us. Both Riisager’s 2-violin Sonata and the performers were new to me. It’s easy-going music, though not very memorable, and it receives a good performance, well recorded for the early-LP era. With only one modern recording in the catalogue, from DaCapo, this is well worth exploring. 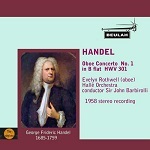 Two recordings of music by HANDEL are available as Beulah Extras, with the Hallé conducted by Sir John Barbirolli for Pye in 1958. His wife Evelyn Rothwell is the soloist in the Oboe Concerto No.1 in B-flat, HWV301 (7BX183), and Eric Chadwick the organist in the Concerto in B-flat, Op.7/1, HWV306 (2-5BX183). When these two recordings were reissued on Golden Guinea in 1967 the recording quality was panned by at least one reviewer, so I’m pleased to report that it has come up sounding well as transferred here, though the oboe tone is a trifle thin and rather too prominent. Golden Guineas were often plagued by surface noise and that’s absent, too. Styles of Handel performance have moved on considerably since 1958 and these are best regarded as mementos of how it used to be, though the oboe concerto is stylish for its time. The organ employed for Op.7/1 is too large-scale for the music – Beulah’s own reissue of the Op.4 set performed by Karl Richter (2-5BX198 – 2013/16) reminds us that even in 1958 some organists knew how to keep their part in proportion. Both the Hallé recordings can be obtained from Beulah. I didn’t catch up with all the Beulah Korean releases in the last DL News and I shall have to carry some over till next time. They are available from kr.eavb.co.uk. 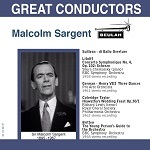 6BX8K: Great Conductors: Malcolm Sargent opens with SULLIVAN di Ballo Overture – just the kind of music for which Sargent was famous: it’s also available on UK Beulah Extra 5BX13 – the LITOLFF Scherzo Symphonique, with Shura Cherkassky as piano soloist (1958: also on UK Beulah Extra 4BX13),GERMAN Three Dances from Henry VIII (1961), COLERIDGE-TAYLOR Hiawatha’s Wedding (1962 – also on Beulah 8PD13 – DL News 2013/9) and his classic recording of BRITTEN Young Person’s Guide with the BBCSO (1958). ‘Flash’ as he was nicknamed for his dress sense, had a very wide repertoire, taking the lion’s share of performances at the Proms, and though it’s true that he often turned in good routine rather than first-rate performances, everything here came from his top drawer. All the recordings are in stereo. The highlight of the album for me is the performance of the Britten – I got to know the work from the original HMV 10” LP and it still holds its own in this fine transfer – but the rarity is the Coleridge-Taylor, less popular now for some reason than it used to be. Apart from Heritage HTGCD249 where it’s coupled with some elderly-sounding recordings – review – this Sargent recording is tethered in a huge 18-CD Warner box set. Fans of van Beinum’s Haydn may already have the Decca Eloquence release of Symphonies 94, 96 and 97 (4768483), on which No.96, nicknamed The Miracle, is probably the most recommendable, and Beulah have also released Nos. 96 and 97 separately on Beulah Extra 30-33BX37 and 34-37BX37 – see DL News 2013/16. 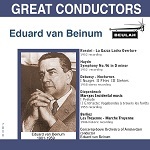 There’s also a decent Naxos Classical Archives transfer of van Beinum performances of Nos. 96 and 97, costing £1.99 in the UK, but not available in the USA. Whichever you choose, these are stylish performances, in decent sound for the time when they were recorded and well refurbished by Beulah, but just lacking that last degree of magic that Beecham brought to the Haydn London Symphonies. See below for Colin Davis’s final thoughts on some of the other London symphonies. 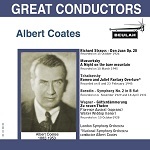 8BX8K: Great Conductors: Albert Coates takes us back to some recordings of an earlier vintage – WAGNER Götterdämmerung – Zu neuen Taten (with Florence Austral and Walter Widdop, 1928), BORODIN Symphony No.2 (1929 and 1931), Richard STRAUSS Don Juan (1926), TCHAIKOVSKY Romeo and Juliet (1945) and MUSSORGSKY Night on the Bare Mountain (1945, also on Beulah 2PD11 – from iTunes). Even through the inevitable blasting of the vintage recording it’s possible to appreciate why Walter Widdop was such a big Wagner name – his Ring recordings are otherwise available only on two 2-CD sets from Gala – and he’s well partnered by Florence Austral and well supported by Coates and the LSO. I normally shy away from recordings of this vintage but the sound has been tamed as well as is feasible. The Wagner is very special and the rest of the album well worth hearing: with Russian ancestry, Coates had a feeling for Russian music. 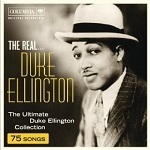 The two 1945 recordings have been made to sound as good as you might expect from the early LPs of several years later. 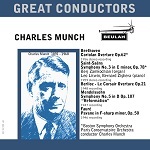 9BX8K: Great Conductors: Charles Munch brings us back to more recent recordings, of which the pick is SAINT-SAËNS Symphony No.3, the ‘Organ’ Symphony, recorded in stereo in 1959 with Berj Zamkochian (organ) and Leo Litwin and Bernard Zigera (piano) and the Boston SO. I owned this recording on an RCA Victrola LP and it’s still one of the best versions of this powerful work, so I welcomed this transfer wholeheartedly on Beulah Extra 13-14BX32 – DL Roundup December 2011/1. I compared the Beulah transfer with the Qobuz streamed version of the RCA CD reissue and there’s hardly anything to choose between them. I also enjoyed the performance of MENDELSSOHN Symphony No.5 (Reformation) when it appeared on 17-19BX32, though the transfer of this 1947 recording is, unusually for Beulah, rather swishy – DL Roundup May 2012/1. 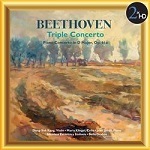 BEETHOVEN Coriolan Overture (stereo, 1956) is also on Beulah Extra 1BX32, one of a number of transfers of Munch’s very fine Beethoven recordings which I welcomed in December 2010. 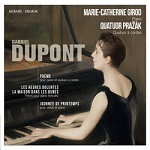 The 1946 recording of FAURÉ Pavane is also available on 16BX32 – DL Roundup September 2011/1 – it receives an evocative performance, decently recorded for its age and free from surface noise. 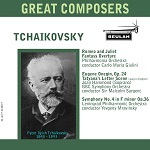 1BX190: Great Composers: TCHAIKOVSKY opens with Symphony No.4 in f minor, Op.36, in a white-hot performance from the Leningrad Philharmonic Orchestra conducted by Yevgeny Mravinsky, complete with the then very distinctive Russian brass sound that seems to have been ironed out these days. The provenance of the recording is not stated but it appears to be the stereo remake from 1960, also available with Symphonies Nos. 5 and 6 on DG Originals 4775911, rather than the earlier mono version. It’s an exciting performance and well worth having even if the recording sounds somewhat thinner and slightly less secure at climaxes, though more than acceptable, than on the DG release which I made my joint Bargain of the Month in April 2010. Good transfers of Joan Hammond with Sir Malcolm Sargent and the BBCSO in Tatiana’s Letter Scene from Eugene Onegin – try the Beulah Extra extract from 4PD13, Sargent at the BBC, on YouTube – and Carlo Maria Giulini’s no-nonsense but very effective account of the Romeo and Juliet Fantasy Overture with the Philharmonia Orchestra (released in 1963 and still one of the best ever recorded) complete a desirable and well-filled programme [73:45]. The medieval collection known as Carmina Burana contains a wide range of moods, as is apparent even Carl Orff’s selection – not everything there brings the house down. I recently recommended a Naxos recording with Oni Wytars and Ensemble Unicorn for the rumbustious aspect of the collection – 2014/7 – but the new Arcana recording concentrates on the more reflective and devotional pieces, including several of which, unusually, we know the name of the author, in three cases Philippus Cancellarius, or Philippe le Chancelier, the highest-ranking layman at Notre Dame in the early thirteenth century. It’s less immediate in appeal than the Naxos but less dull than may appear if I say that it will appeal especially to those with a scholarly interest in the music of the period. The lack of texts and notes from eclassical.com is most regrettable but those with a decent command of Medieval Latin – not always the same as the classical variety – and Middle High German will find the whole collection at Bibliotheca Augustana, albeit without translations. At first sight the Naxos Music Library rides to the rescue of those with access – you’ll find the Arcana booklet there but, sadly, it contains only a list of titles, medieval pictures and colour photos of the performers, no texts. That’s not good enough. I recently reviewed PV713111, BHCD1003 and BHCD1004 as part of a survey of Ludford’s unjustly neglected music – review – but the emusic.com downloads to which I’ve given links above are somewhat less expensive than those from Amazon which I mentioned then, though I can’t vouch for the bit-rate and quality from this source, which is often on the low side. I can, however, confirm that the bit-rate for BHCD1002, at around 230kb/s, is of much the same order as the Amazon downloads of the other volumes. 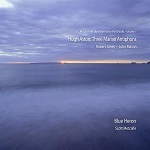 Though there are no booklets from emusic.com, the full and informative programme notes from the CD are available from blueheronchoir.org. Better still, the Naxos Music Library has both the notes and texts. So detailed are these that I need not go into detail here except to say that the music is just as appealing as on the other albums, the performances equally convincing and that the recording does them justice. Happily, the three Aston works contained here almost complete the limited repertoire of his music which has survived when added to the Missa Videte manus meas on Metronome MET1030/31 (with Ashwell Missa Jesu Christe) – review. The Metronome 2-CD set seems to be out of stock, with one hopeful seller asking $510.58 as I write, but amazon.com and amazon.co.uk have it as a download. Subscribers to emusic.com will find it there for just £3.36. It’s just as well that it’s inexpensive because I can’t lay hands on my original download and have had to re-purchase it, which is annoying when many – most – other suppliers allow a second bite of the cherry or even store your downloads in the cloud. There’s another fine performance of Aston’s Gaude Virgo Mater Christi from Stile Antico (Music for Compline, Harmonia Mundi HMU807419 – from eclassical.com, with booklet). I missed Ensemble Plus Ultra’s 10-CD recording of the music of Victoria – also available from Qobuz, though without booklet – some time ago and we don’t seem to have reviewed it on MusicWeb-International, but I intend to put that right as soon as possible after hearing this recording. Their name means ‘further ahead’ or ‘further beyond’ and though I may query if they take us further than the many very fine groups recording this repertoire these days, such as La Grande Chapelle in the same Lobo Mass (Lauda LAU013, the only other extant recording) or the Tallis Scholars in his Missa Maria Magdalena (Gimell CDGIM031), they are certainly up there with the best of them. 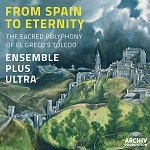 The main title is a bit gauche but the link mentioned in the sub-title is genuine: Toledo at the time of El Greco is a good peg on which to hang the music here and I’ve no complaints about its quality. The music of Morales, Lobo and their contemporaries is second only to the English polyphony of a slightly earlier period in taking you out of yourself. Tejeda is a real discovery. One small grumble about the Qobuz version – it’s laudable that they include the booklet, with texts and translations, but it isn’t all there: the texts stop at track 10, with four more to go, which also means that I can’t give you recording details. I’ve given a link to the Amazon download but can’t vouch for the quality: it will be at a lower bit-rate than the version from Qobuz to which I listened. Having listened to the Qobuz version I was about to review this here when the 2-CD set arrived, so I’ll content myself for the moment with saying that I enjoyed it very much but haven’t yet had a chance to do a direct comparison with the earlier and less expensive Hyperion Dyad (CDD22050 – review). rec. Wigmore Hall, London, August 2013. DDD. The performances on Linn are as delightful as the music, but it could hardly be otherwise with Pamela Thorby’s involvement – see Garden of Early Delights, below, The Nightingale and the Butterfly, Linn CKD341 – July 2010 – Baroque Recorder Concertos, Linn CKD217 – 2013/13 – and Handel Recorder Sonatas, Linn CKD223 – and that of Ensemble Marsyas: Zelenka Sonatas, Linn CKD415 – review. As with Zelenka, the Ensemble Marsyas make good second-rate sound first-rate. rec. June-July 2013 and January 2014. DDD. 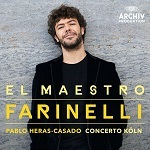 Pablo Heras-Casado’s conducting debut presents him with Concerto Köln in a selection of mainly instrumental and some vocal music associated with Farinelli, the legendary 18th-century castrato who served as impresario and court musician to the kings of Spain. 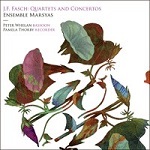 In view of the Farinelli connection, I’d have preferred to have heard more of the vocal items, featuring excellent contributions from Bejun Mehta – only two included – but that’s my only grumble about a very fine first recorded outing. The discovery is twofold – most of the music is receiving its first recording – but mainly for the most exciting young conductor of baroque music for quite a while. I listened to Qobuz’s 320kb/s stream as well as in CD quality; it sounds excellent, so 7digital.com’s at the same bit-rate should too. The lack of vocal music is easily put right: Arias for Farinelli (Vivica Genaux and René Jacobs: Harmonia Mundi Gold HMG501778 – review of original release) is available with the original catalogue number HMU901778 from eclassical.com (mp3 or 16- and 24-bit lossless) or for streaming from Qobuz (with booklet containing texts). Sir Colin Davis’s earlier recordings of all twelve London Symphonies with the Concertgebouw Orchestra, on two budget-price twofers, is one of the great bargains of the catalogue (Decca Duo 4426112 and 4426142). Writing for our sister live reviews site, Seen and Heard, Mark Berry defied anyone to hear superior Haydn anywhere than Davis’s performance of No.92 – review – and Colin Clarke enjoyed the performance of No.93 – review – both included here. As with Eugen Jochum’s two recordings of Symphony No.98, a harpsichord is on hand to point Haydn’s joke at the end when the continuo keyboard, which has been anonymous throughout, springs to life for a brief moment in the sun. By omitting the harpsichord, most performances gloss over this typically Haydnesque bit of humour. Sadly, Jochum’s CD set has vanished but it is still available as a download, containing his Berlin Philharmonic versions of No.88 and 98 and his later LPO recordings of Nos. 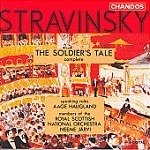 93-104 (4743642 – from prestoclassical.co.uk, mp3 and lossless or, slightly less expensively, in mp3 only, from 7digital.com). 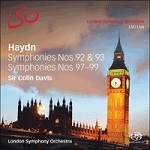 It’s not just in No.98 that the new set rivals Jochum and Davis’s own earlier recordings – my only regret is that he didn’t live to complete a new series of recordings of all the ‘London’ symphonies, but there’s a bonus in the form of the symphony performed at Haydn’s award of a doctorate at Oxford. This is as good as it gets from modern instrument performers. The recording sounds very good in mp3 and 16-bit. You’ll have to pay more even than most dealers charge for the SACDs to obtain the 24-bit, but it is worth the extra. rec. Pugnano, Pisa, Italy, August 1997. DDD. Poor Michael Haydn, hidden in the huge shadows created by his big brother and his friend, Mozart. If you don’t expect to rush out shouting eureka, you’ll find the music very enjoyable – just the thing for late-night or Sunday afternoon relaxation. I’m not sure why these very capable performances have taken so long to reach us – perhaps they were originally recorded for Symphonia, who issued some recordings by these performers around the year 2000. Whatever the reason, I’m happy to welcome their release now. (see also reviews of earlier volumes: Concertos Nos. 17 and 27, CDA67919 – DL News 2013/8 – and Nos. 6, 8 and 9, CDA67840 – DL Roundup Oct 2011/2). In Piano Concerto Number No.22, the vigorous and lively orchestral ritornello with its numerous themes and ideas sets the tone for these performances. The rhythmic motif presented by the full orchestra at the start has immaculate ensemble and balance and the witty answer in the bassoons is beautifully played with characterful, fruity tone. The first entry of the clarinets to be heard in a Mozart concerto follows in lovely descending suspensions. A minor niggle about the balance is that I would have preferred the ensuing solo flute motif, followed by clarinets and bassoons, to come through the string texture a bit more. The horn playing is superb and mostly the balance is excellent. 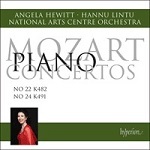 Soon Angela Hewitt enters with her usual delicacy, light-fingered touch and clarity of articulation. I am amazed at the subtle and ever evolving variety of colour and articulation she gives to everything she plays, even in seemingly simplistic scalic passages. She gives us a fright at the point when yet another new idea is presented by Mozart with its unexpected strong chords in a minor key. Later, Hewitt gives a superb account of the cadenza by Paul Badura-Skoda. This second movement marked Andante is a set of variations and the string section presents the sad opening theme, beautifully played with mutes. Later the clarinets have a chance to shine with characteristic music for that instrument. Excellently played flute and bassoon passages in the ensuing variations. Hewitt and her players capture the moods of each variation but also make them combine to add up to a satisfying whole. In the Allegro finale we set off in light-hearted, jaunty fashion but touches of sadness are never far away in this wonderful music. Angela Hewitt’s playing is superb. In her excellent programme notes she describes some of the runs as tortuous, so difficult to play well, but you could never tell this from her superbly flowing performance. In addition to Hewitt’s playing, what particularly makes this performance for me is the fact that the orchestra is so well balanced with brilliantly characterful woodwinds. The same qualities pervade Concerto No.24, a very different work in every way. The dark and tragic opening is played by the strings in unison, menacing in mood but neatly articulated. Then the large orchestra sets a perfect pace under the able direction of Hannu Lintu. The wind instruments, this time including oboes as well as clarinets are once again given in perfect balance so that their important phrases can clearly be heard. Then the pianist enters with a new simple theme which Angela Hewitt imbues with sadness at a slightly slower tempo. The second movement Larghetto is a rondo with a disarmingly simple main tune played first by the soloist and then full orchestra. Hewitt sets an appropriate tempo, and once again, one is soon struck by Mozart’s invention and variety, giving all the instrumentalists the opportunity to provide a kaleidoscope of colour. The finale is a set of variations, and Hewitt says that she feels this is more like a sinister dance than a march. Again everything is delivered with superb aplomb and exhilarating panache. These two great Mozart masterpieces could hardly be better performed and recorded. In addition, Angela Hewitt’s excellent programme notes provide us with some fascinating insights. Highly recommended. The original Naxos release passed me by, despite the fact that HC Robbins Landon, no less, awarded it a 5/5-star rating and proclaimed it truer in spirit to how the Triple Concerto might have sounded in 1804 than the higher-powered versions that I’ve heard over the years such as Oistrakh, Rostropovich and Richter with Karajan (EMI, now Warner) or even the version which first introduced me to the work, with Anda, Schneiderhan, Fournier and Fricsay (DG Originals or DG Double). The piano arrangement of the Violin Concerto which Beethoven made at the request of a London publisher, may not be a match for the original, but it’s in sure hands here and the first-movement cadenza comes as a real surprise. The 24-bit version is rather pricey; it sounds well but most will be happy with the 16-bit or even the Naxos original, which remains available. The Oborin, Oistrakh, Knushevitzky, Sargent recording is now available only on Melodiya or encased in a multi-CD EMI box set but it’s worth looking out for the inexpensive EMI twofer or even the budget-price single CD that used to be available. Don’t forget Howard Shelley’s very fine complete traversal of the Beethoven Piano Concertos, including the Triple Concerto and Op.61a on Chandos CHAN10695: Recording of the Month – review and November 2011 DL Roundup. 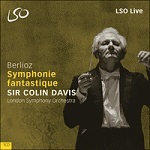 The availability of the LSO Live recordings in mp3, 16- and 24-bit downloads from hyperion-records.co.uk has given me a second chance to look at Sir Colin Davis’s recordings of Berlioz for that label, both those which were available in the budget-price bicentennial edition (LSO0046 – from classicsonline.com, mp3 only: Bargain of the Month 2013/7) and the Grande Messe des Morts or Requiem, not included in that collection, but available on LSO0729, 2 CDs with pdf booklet containing texts and translations, from hyperion-records.co.uk. 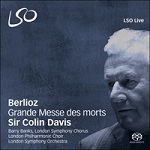 Barry Banks (tenor), the LSO Chorus and LPO Choir were recorded in St Paul’s Cathedral in June 2012. I can’t improve on John Quinn’s very detailed review: he described it as indispensable, awarded a well-justified Recording of the Month and, later, chose it as one his Recordings of the Year. 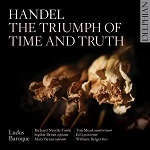 At 94:04 the programme is rather short for two CDs, but most rival recordings are similarly placed – what else could you include apart from the rarely-performed Grande Symphonie funèbre et triomphale, Op.15, as on Davis’s earlier Philips recording (Decca Originals 4757765)? At £9.25 the mp3 and 16-bit lossless versions are competitive with the SACDs but £13.90 for 24-bit looks a bit steep when the SACDs can be found online for less than £10. The bicentennial set from classicsonline.com contains the Symphonie Fantastique but in mp3 only. Hyperion offer it on its own in mp3 and 16- and 24-bit lossless. Unfashionably, I happen to like Davis’s first recording with the LSO, now available as a download-only on Philips Duo 4422902 – the intermediate version with the Concertgebouw remains available in several formats, including SACD – but his final thoughts are very special. Both mp3/16-bit at £6.25 and 24-bit lossless at £9.75 look a trifle expensive when the CD can be had for less than £6. (LSO0007, with Béatrice et Benedict Overture – from hyperion-records.co.uk with pdf booklet). Marc-André Hamelin sets the mood of the opening piece in an instant. The melancholic first piece, Our evenings, seems to suggest sadness and even despair. The simple melody is played with beautiful phrasing, just the right amount of rubato, and the sudden violent outbursts which disturb the tranquility are really effectively done. A blown-away leaf also begins with the utmost simplicity before disturbing and uneasy passages intervene. Come with us and They chattered like swallows are happier in mood but always there are undercurrents of uncertainty and disturbing moments. The Frydeck Madonna is given a fabulous performance with a menacing feel to the beautifully balanced chords. Good night! begins with playing of utmost delicacy, and the grief-stricken Unutterable anguish is well portrayed by Hamelin. Hamelin coaxes a beautiful tone from his instrument and we can hear how the melodic line positively glows in the penultimate piece, In Tears, as it sings out gloriously above the sometimes strange textures and harmonies. Altogether this superb performance could not be bettered. Marc-André Hamelin has already recorded some major works by Schumann, but he seems equally at home with the exquisite little miniature masterpieces contained in Waldszenen and Kinderszenen. The first piece of Waldszenen, entitled Eintritt, seemed to me rather slow at first, but Hamelin creates a dreamy world of peace and serenity in stark contrast with the preceding Janácek. Also he is then able to create a telling contrast with the fast and lively second piece of the set, and this is followed by Einsame Blumen which is beautifully and sensitively played. Soon we come to perhaps the most famous piece in the set, Vogel als Prophet, played here with great clarity and sensitivity. Jagdlied is fast and furious and, as usual, Hyperion provides a recording which enables every note to be heard clearly. Abschied is played with much rubato and detailed expression and this is always a feature of Hamelin’s playing. Each piece is given oodles of character and personality by our pianist so that they become totally contrasting with each other, but together forming a successful suite. This is a rather idiosyncratic performance because of the indulgent rubato and expressive detail, and some listeners may feel it is rather overdone. However, I have nothing but praise for Hamelin’s interpretation, but suggest that it would be good to have a more ‘straightforward’ recording as well for repeated hearings. Even better, try playing some of the pieces yourself! The tempi presented in Hamelin’s performance of Kinderszenen are also very contrasted, both between and within some pieces, and this may be a bit much for some listeners. Alfred Brendel’s version on Vanguard Classics is more ‘standard’ in this respect, but the recording sounds so dated I would not recommend it. Hamelin plays the first piece comparatively slowly whilst the second seems a little fast. Hasche-Mann is very fast and virtuosically presented as are several other pieces in the set. Träumerei is the emotional centrepiece of the work and beautifully played. It is a very touching performance, without a hint of sentimentality. The concluding pieces, Kind im Einschlummern and Der Dichter spricht are beautifully played with superb balance and beauty of sound. My minor niggle is that the former is so soft at the end that the chord dies away before Hamelin plays the last note, and that note is also barely audible even with the volume at maximum. 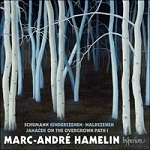 Hamelin’s recording of Kinderszenen is probably the best available right now. For example, I don’t think that Stephanie McCallum on ABC Classics is in the same league musically. This is a fabulous collection. The whole project is so musically presented and beautifully recorded that I recommend it unreservedly. This is a recording of two halves. For the first half, the Bruch, I would have made this Recording of the Month – it’s a work for which I’ve long had a very soft spot, even more than the better-known Violin Concerto No.1 and all concerned give a performance to challenge existing favourites such as David Oistrakh (Decca Legends 4702582, 2 CDs, with Hindemith and Mozart) or Kyung-Wha Chung (also Decca, with Violin Concerto No.1, recently reissued at budget price on 4783351). I suspect, however, that those who go for the Bruch may not want the rest of the programme and vice-versa for those who enjoy the ceilidh-like second half – I notice that at the time of writing in mid-July 2014 it hadn’t made it into the BBC top 20 classical chart, perhaps for that reason, though Nicola Benedetti’s appearance at the opening of the Commonwealth Games may have altered things by the time that you read this. Overall, then, I’d recommend staying with Kyung-Wha Chung – also available in a Studio Master download from Linn: May 2012/2 – or David Oistrakh, but Benedetti’s many devotees will doubtless snap up this new offering. Lots of shots of her in various kinds of tartan in the booklet. I missed Alisa Weilerstein in the Elgar concerto but her Dvořák is well worth all the hype, especially as she receives admirable support from an all-Czech team and is well recorded. Don’t throw away your Rostropovich – a splendid bargain from Regis, with Talich and the Czech PO (RRC1368:Bargain of the Month – review review and April 2011/1 DL Roundup) or with Karajan (DG Originals) – or Isserlis and Daniel Harding with the Mahler CO, who couple it with the early Cello Concerto No.1 (Hyperion CDA67917 – DL News 2013/14) or Wallfisch and Mackerras with the LSO at mid price (Chandos CHAN10715 – DL Roundup August 2012/1). The best combination of bit-rate and price is from 7digital.com – 320kb/s at £8.49 – but if you want only the concerto, your least expensive bet is to purchase just those three tracks from Amazon.co.uk (mp3) for £4.87, which is what I did, trying the rest only from Qobuz. No sooner had I written the above than Decca released this same recording of the Concerto as part of a set of all the Dvořák Symphonies and Concertos recorded between November 2012 and December 2013 (4786757, 6 CDs for around £34 or download from 7digital.com.) You may wish to hold fire on the single CD till I’ve had a chance to listen to the complete set. This was a serious candidate for Recording of the Month, challenging existing recommendations. Geoff Molyneux and I had some reservations about Sakari Oramo’s recording of the Elgar Second Symphony – 2013/8 – but I have very far fewer – hardly any, in fact – about this version of the First. I wasn’t even troubled by the amount of rubato in the first movement which disturbed Brian Reinhart somewhat: if it’s as naturally applied as it is here, I’m happy, though the line between natural and artificial is a thin one and I’m well aware that one person’s meat is another’s poison. The boot is on the other foot in Paul Lewis’s Schubert Piano Sonata No.21, where I’m not alone in thinking that Lewis tries too hard but others have lauded the performance. I wasn’t troubled, either, by the tempo issues which John Quinn queried. I know that Elgar himself kept things moving pretty well throughout and Solti’s recording shows how something very similar can be made to work, but I often wonder how much Elgar’s eye was on the clock and the HMV engineers, with a view to ending each 3-4 minute segment at the most natural possible point. I’m at one with Brian Reinhart in preferring the organ in Cockaigne and in agreeing with him that I’d have liked to hear it more prominently displayed, though, again there’s a fine line here which the DG engineers originally crossed in Karajan’s digital recording of The Planets – rather than get the balance right now, they seem to have edited it out of the latest mix completely. Here the organ is sensed rather than heard. Otherwise the 24-bit version sounds superb and even the mp3 very good of its kind. As a record of a live performance, this new recording would be well worth considering but it doesn’t replace the classic DG recording with Carol Neblett, Plácido Domingo, Sherrill Milnes and the Covent Garden Chorus and Orchestra conducted by Zubin Mehta. Compare them via Qobuz, where both are available, along with other recordings, and there’s no doubt that my preference lies with the DG recording which 7digital.com have as a download in 320kb/s mp3. The 72-page Oehms booklet contains a detailed synopsis and several colour photos of the production, which is all very well in its way, but no substitute for the libretto and translation. Fortunately the Italian text is readily available here. 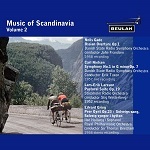 BIS already had a great deal of Stenhammar’s music in their catalogue – hardly surprisingly for a Swedish label – including a recording of the Serenade by Neeme Järvi, available separately on BIS-CD-310 (from eclassical.com, mp3 and lossless) or as part of the package on BIS-CD-714/6, 4 CDs for the price of 3 – review by Rob Barnett. The delightful Serenade is the main work on this new recording. 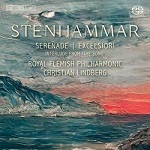 The performances and recording do the music full justice, but if you are new to Stenhammar’s music this is not the place where I’d recommend beginning: try either of the recordings of the two piano concertos (Hyperion and Naxos) which I reviewed in December 2011/2 DL Roundup. rec. Champs Hill, Coldwaltham, West Sussex, UK, 2–4 July 2013. DDD. By an oversight I included this in the 2014/8 index. In the event, Nick Barnard has pipped me at the post and rendered most of what I was going to write superfluous – review – so I’ll content myself with saying that the download sounds well, even in mp3 form – no lossless version, as yet from COL, which is surprising – and adding the Recording of the Month accolade. Any doubts about the value of the music – much earlier than the standard VW repertoire – are soon dispelled by the fine performances. The Quintet in D falls not far short of the Schubert Octet in charm. Eclassical.com have it in both 16- and 24-bit sound but, at $13.01 and $19.52 respectively, that’s quite an increment on the price from COL (£4.99) and the CD (around £6). rec. RSNO Centre, Henry Wood Hall, Glasgow, 31 May and 1 June 2012. DDD. There’s a typically wide range of styles here: the programme opens with the jaunty Tinkers Wedding Overture but the following Violin Concerto, the main work here, is made of much tougher stuff, though by no means unapproachable. The one-movement Symphony No.13 is also rather tough going but both works are well worth persevering with in these fine performances. The very approachable English Suite No.4, never before recorded in the digital era and the only version currently available, rounds off another album on which Dutton does very well by neglected British music. The emusic.com download comes at around 240kb/s – not ideal, but much the same as you get from Amazon and iTunes and sounding perfectly adequate. Thats the least expensive way to obtain this album, at £5.88 or less, but I’ve also given the Amazon link (£7.49) for those who are not emusic.com members. 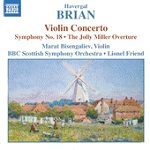 There’s an older recording of the Violin Concerto by Naxos out of Marco Polo, coupled with The Jolly Miller overture and Symphony No.18 (8.557775). I refer you to John France’s detailed analysis of the concerto – review – and the review by Johnathan Woolf. Overall the new performance and recording quality are preferable but the Naxos recording is the only one available of the symphony, a work aptly described as a quarter-hour gem. I could suggest downloading only the symphony but that is likely to cost you half the price of the whole album, so you may as well duplicate the concerto and download in mp3 from classicsonline.com or the Marco Polo release in mp3 or lossless from eclassical.com. The contents of this 2-CD set, drawn from three discs which were worth considering at full price, form an excellent bargain twofer. Though available only in mp3 and 16-bit sound, the recordings still sound very well. If, however, you don’t have a recording of the music for Strings Percussion and Celesta, a more essential work than the Miraculous Mandarin and Hungarian Pictures, the first two Marin Alsop recordings which I’ve listed can be yours for around the same price, or you can have all three for not much more. I thought Alsop’s recording of the Concerto for Orchestra particularly hard to beat. Both Järvi and Alsop offer the full Mandarin ballet, not just the more common Suite, as recorded by Edward Gardner on another Chandos CD (CHAN5130). 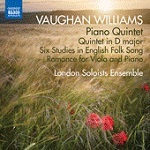 The new release can be streamed from Qobuz and the three earlier CDs from Naxos Music Library. Both also have the Alsop recordings for comparison. Reviewing Andrew Litton’s performance of The Firebird on BIS-SACD-1874 and other recordings, I mentioned this recording briefly in DL News 2012/22 as having been reissued but didn’t elaborate. 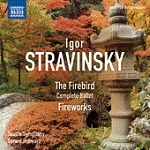 This performance of Firebird was originally released in the UK as a Delos limited import coupled more substantially than now with Le Chant du Rossignol (D/CD3051). The quality of the playing from a regional orchestra delighted the reviewers back then and that remains a strong plus points, especially at the new lower price. If the performance overall is a little cool, that serves to emphasise the link with the Rite of Spring, especially as heard in the new recording from Les Siècles (below) where the kinship of the two works is also writ large. Though available only in mp3, the download sounds fine. For a good recent performance of all three major Stravinsky ballets, Firebird, Rite and Petrushka, I continue to favour the 3-CD budget set made by Yakov Kreizberg in Monte Carlo (OPMC001: Recording of the Month – review). Stream with booklet from Qobuz. 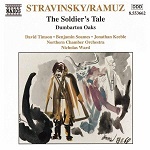 Of older recordings which still sound very well, Ansermet is hard to beat (with the OSR: Stravinsky Ballets, Decca Duo E4434672 – stream from Qobuz – or with the New Philharmonia, Decca Eloquence 4803780). rec. live, December 1996, Théâtre des Champs-Élysées (Paris). DDD. rec. Henry Wood Hall, Glasgow, 10 August 1986 and Focus Recording Studios, Copenhagen, 8-9 February 1993. DDD. (first released by Zig-Zag Territoires, ZZT0202012). 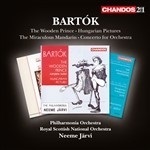 For the complete work English-speaking listeners should be happy with either the Naxos or the Chandos. Choice of coupling – both the Octet and Dumbarton Oaks make very enjoyable fillings – price, with the Naxos less expensive, or recording quality could easily be deciding factors, with only the Chandos available in lossless sound. By a small margin the Naxos is slightly snappier but there’s not much in it. If you’re allergic to funny accents, you may find the Chandos Devil too much. Try them both from Naxos Music Library and the Naxos from Qobuz. The Naïve recording uses the revised and enlarged 1946 text, but omits about 10 minutes of the complete work. The performance is at least the equal of the two English versions and Gerard Depardieu makes an effective Devil apart from his reluctance to employ an old-woman voice when disguised as one. The fairly short playing time means a commensurate reduction in price from eclassical.com. If you just want the Suite from Histoire du Soldat, the Järvi recording was made just after setting down the complete work but Naxos Classical Archive have also reissued the classic and stylish 1956 Ansermet recording, coupled with Honegger’s Le Roi David, on 9.80445/6. 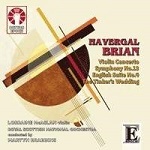 If you want this in the best, lossless sound, your only option is eclassical.com ($16.66). Though recorded in stereo, there’s only fairly minimal spread of sound, but the slightly dry transfer suits the music well and it’s good enough for me to recommend that you go for the lossless version, though it can be obtained less expensively (£3.98) from classicsonline.com. It’s not available in the USA and several other countries except in the 33-CD set Ernest Ansermet: Russian Music (Decca 4820377). David Lefèvre and colleagues offer a snappily-played reduced-instrumentation version of the Suite, well matched with the short Three Pieces and two works by Bartók. With good recording and an attractive price for the reissue, this would be a good alternative for those not seeking the full work. I had intended to include this with some other recordings by Les Siècles in 2014/7 but somehow lost track of it, partly because the lack of a booklet from eclassical.com and the fact that I missed their performance at the Proms in 2013 meant that I didn’t realise how special this version of the Rite of Spring is until I read reviews elsewhere. The performance aims to reconstruct how the music sounded on that fateful day in May 1913 before the alterations which Stravinsky thought necessary thereafter to make the work easier to perform, including dropping the alternation of plucked and bowed strings. If the music seems to lack some of the sheer power of classic performances which I admire, from Stravinsky’s own for CBS and Doráti’s classic Mercury recording onwards – see above for the Beulah reissue of the latter – the gain is in terms of its sheer musicality, with the kinship with The Firebird, already recorded by this team on ASM06, clearer than in most recordings. And from Rondes des printemps (track 4) onwards there’s plenty of power, too, where required. 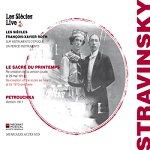 With a fine account of Petrushka as the coupling, this is an important release but spoiled in download form in one respect: the lack of a booklet is deplorable, as always; it still happens far too often and it means that I can’t give you the date of the (live) recording. rec. City Halls, Candleriggs, Glasgow, December 2001. DDD. With the centenary of the outbreak of the First World War about to be commemorated, there could hardly have been a more opportune time to reissue this recording at budget price. Much of the music here was composed after Coles was sent to the front in 1915 but no allowance has to be made for the circumstances. Widely hailed on its first appearance, it’s even harder to resist now at £4.00 for flac or mp3. 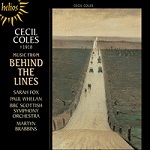 If you are in any doubt, Cortège, the second movement of Behind the Lines, is available on Hyperion’s free download sampler for July 2014, HYP201407. 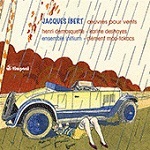 Ibert’s Divertissement is the wittiest and cheekiest piece of music that I know (best savoured as performed by the PCO and Jean Martinon on Decca 4783188 – download from prestoclassical.com or stream from Qobuz) and while nothing here is quite in that league, or as much fun as the cover picture suggests, it’s mostly jaunty and all well worth hearing, though some of the items are not otherwise available. The snappy performances and recording make this a worthy successor to Ensemble Initium’s earlier recording of the wind music of André Caplet, also for Timpani – review and DL News 2013/12. 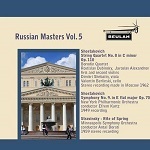 Another classic Naxos recording brought brilliantly to life in 24-bit format on the 2xHD label, albeit at a price considerably higher than the CD, which remains available on 8.559106 for around £6 and as an mp3 download from classicsonline.com for £4.99. 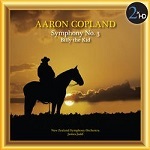 The performance of the Symphony vies with the composer’s own on Everest – review and DL News 2013/15 – and the addition of the Billy the Kid Suite is the icing on the cake. Good as the Everest recording is, the 24-bit refurbishment of the Naxos recording is better still, providing the weight which William Hedley found slightly lacking on the original Naxos CD – review. Ideally you need both this and the Everest. Eduardo Mata’s recording, which WH mentions with approval in that review and which I also like, can be yours for £5.99 on an EMI/Warner Gemini twofer, with the Clarinet Concerto, Grohg, Music for the Theater and Quiet City from 7digital.com (mp3) or with Danzón Cubano and Dance Symphony on another Warner/EMI album, also at £5.99 from sainsburysentertainment.co.uk. Film Classics? Only if you like your music, big, bold and brash and with quite a few ‘borrowings’ along the way. 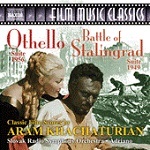 Fans of Khachaturian’s better-known Spartacus won’t find anything here to match but the performances and recording make the best case for what there is. I’d recommend trying this from Naxos Music Library first, but if you don’t yet know Spartacus, the composer’s own recording with the VPO, coupled with Gayaneh and Glazunov’s The Seasons is the place to start (Decca Legends E4603152): I’ve been listening to that recording as I write to remind myself how superior all the music there is to these film scores. Rec at the Rieger organ of St Giles Cathedral, Edinburgh, 9-10 September. DDD. pdf booklet includes full organ specification. RESONUS RES10134 [79:07] – no CD. Download from resonusclassics.com or eclassical.com (both mp3, 16- and 24-bit lossless) or stream from Naxos Music Library or try samples of each track from Qobuz. I reviewed a very fine Naxos recording of two of the works here, the Six Fantasies and Missa de Gloria, coupled with Et resurrexit, performed by Greg Morris on the organ of Blackburn Cathedral in the June 2011/1 DL Roundup and that remains a recommendable and inexpensive introduction to Kenneth Leighton’s organ music (8.572601), but this Resonus release is merely the harbinger of more to come. 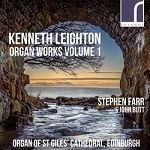 Moreover, it’s recorded on the highly versatile organ of St Giles’ Cathedral, Edinburgh, the city where Leighton spent most of his working life. Lovers of Leighton’s choral music and those who enjoy British organ music need have no hesitation in buying this recording, preferably in the very fine 24/96 version. Prices from the two sources indicated are very similar – UK purchasers will probably prefer to pay in GB£ for the resonusclassics.com, others may prefer the US$ price from eclassical.com. Two of Hyperion’s recordings of Leighton’s music have sunk into the ‘please buy me’ category at different times: CDH55195, Choral Music from St Paul’s, and The World’s Desire (CDA67641) – see September 2011/2 DL Roundup – I do hope that this recording and its planned successor prove much more popular. Garden of Early Delights : music by Diego ORTIZ, Jan van EYCK, John DOWLAND, Giovanni BASSANO, Dario CASTELLO, Biagio MARINI and Johann SCHOP. Apart from a small alteration to the cover of the booklet – the addition of the area in black – and a change of catalogue number, this remains identical to the original release which I welcomed in January 2009 – even the price stays the same: £8.00 for mp3, £10.00 for 16-bit lossless from both Linn and Hyperion, with 24-bit Studio Master from Linn only for £18.00. The music is gloriously inconsequential and the performances are a sheer delight. Hyperion offer the notes on their web page but if you want to burn the music to CD and print the notes as a booklet you need to purchase from Linn or turn to Naxos Music Library. rec. Martinek Studio, Prague, August 2013. DDD. If Gabriel Dupont was even a name that you knew, you must be a musicologist – and if he was more than a name, an exceptionally well-informed one. For the rest of us his music is a real discovery and the performances here help to turn it into a most enjoyable one. Good recording, especially in 24-bit format, and the provision of the booklet completed my pleasure at discovering this music. If you were hoping to explore further recordings, I’m afraid that you will be disappointed – as they say on Looney Toons, that’s all, folks. The equivalent of three CDs, containing 75 tracks – almost four hours of music – for £3.49 has to be a bargain. Add the fact that it contains classic Ellington recordings from the 1930s – bettered only by those he made in the early 1940s – and the bargain is even more notable. Though Amazon list the album as emanating from Legacy Recordings, the cover contains the Columbia (CBS) logo, suggesting that these are official Sony transfers. Don’t expect anything like modern sound and you won’t be disappointed by these very clean transfers, free from surface noise. Karajan fans daunted at the prospect of the bumper box sets recently released by Warner may find a budget 2-CD release of lollipops from the same company more to their liking. 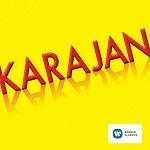 With the word Karajan emblazoned across the yellow cover, it contains Ravel’s Boléro, Debussy’s Prélude à l’après-midi d’un faune, Chabrier’s España, four excerpts from Bizet’s l’Arlésienne, Overtures to Johann Strauss II Die Fledermaus, Weber Der Freischütz and Wagner Der Fliegende Holländer, excerpts from Tchaikovsky’s Sixth Symphony, the ‘Pathétique’, Schubert’s ‘Unfinished’, Mozart’s No.40 and Dvorak’s New World, orchestral excerpts from Puccini’s Manon Lescaut and Berlioz’ La Damnation de Faust, Smetana’s Má Vlast: Vltava, Sibelius’ Valse Triste and Johann Strauss II Tritsch-Tratsch Polka. That’s almost two and a half hours of music for £3.99 from sainsburysentertainment.co.uk or streamed from Qobuz. Excellent for beginners, though even they might find the canary-yellow cover too brash – if you burn it to CD, I’d try to find a better cover to print.